Bay Area Concretes has won the three WOW awards for Best Project World Wide, at the World of Concrete in the architectural concrete category. We also achieved the honorable mention award for the best cast-in-place concrete contractor in America from Concrete Products Magazine. Bay Area Concretes (BAC) is California’s architectural concrete site work specialist, installing over 25 million square feet of decorative concrete since 1966. BAC was the pioneering diamond concrete floor polishing contractor and remains the leading union and non-union commercial concrete polishing firm on the west coast. As the original Bomanite installer as well as ARDEX, Stonehard Epoxy, Micro Topping and Aggretex installer, we have developmental and installation capabilities and resources located in the San Francisco Bay Area, Sacramento, Central Valley, Southern California and Napa Wine Country to serve all your architectural concrete needs. 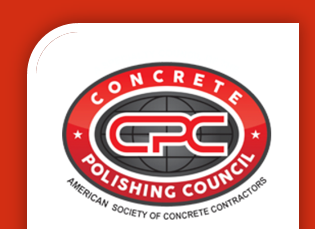 Bay Area Concretes’ Polishedcrete division is the only UNION LABOR Diamond Polishing concrete company in Northern California signatory to both cement Masons and Labor Unions. There is NO equal, when Union works scope is required! See more great award winning work here.